7:15 getting up. 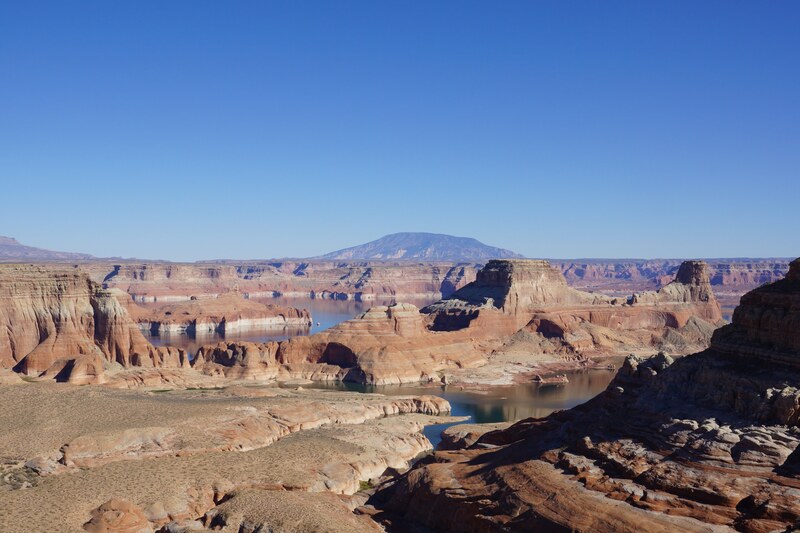 8:00 leaving – driving up to Canyon Lake, Apache Lake, Roosevelt Dam and Lake. In Globe we turn onto Hwy 60 and drive through a beautiful canyon and mountainous landscape to Show Low a small town with a population of 7700. One of very few towns that doesn’t welcome you with a ‘schrottplatz’, it is very nice anyway. We find a room at KC Motel, a privately run cute place. Dinner is at the local Steak House.